I’m aware about the position of the new newel post in SD, was just a draft and at that time got stuck with the shape of the first step so left it for adjustments at a later stage. I’ll check and revert (most likely after Easter). I imported the stair in your drawing. Take a look at it and revert with comments. 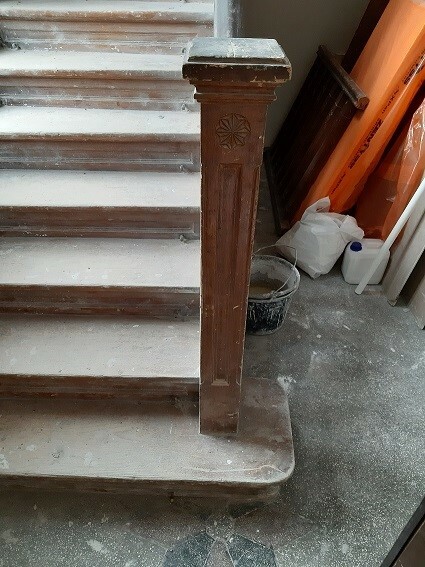 The position of the new newel compared to the old is not the same. At least you have something to start with. Once you have the stair we can look at the handrails. There are basically two reasons: 1. the existing stairs are fixed in the same way, on the wooden beams and not on the floor. 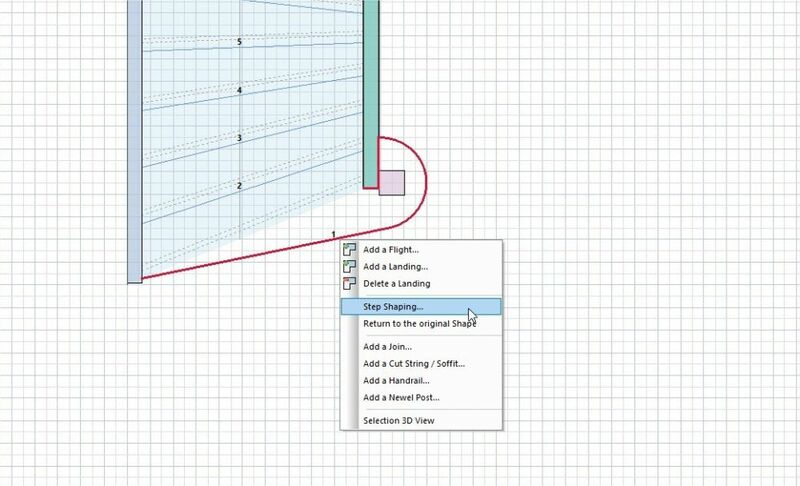 This approach gives you the possibility to change the floor easier (in my view); 2. The floor is actually formed from an uderfloor of OSB3 (22mm) with solid oak parquet glued on it. I don’t believe the OSB3 offers sufficient strength to fix the stairs on in and would rather prefer not to drill through parquet. As long as I have a strong support uncovered already (the wooden beams) I don’t see why not making use of them for better structural support. Last riser. This is because you did not add a landing step. Again right click and select add a landing. I want to build new stairs from the 1st floor to the attic. The aim is to keep the style of the existing stairs (ground to 1st floor) and, because the new one will continue the old one, to integrate the new elements with the existing ones (newel post, stringboards, handrail, etc. The floors are built on wooden beams and the end of stringboards from the existing stairs is fixed on a beam (not floor). I intend to make a similar connection for the new stairs, which implies to start from below floor level. The end will also be on a wooden beam.